In London on Thursday 16 April 2009 Bibiana Crocitta, director of Cook your Business, was nominated at the prestigious UK Enterprise Support Awards 2009 in the Building of Entrepreneur Support Networks category. The setting was The Magic Circle HQ in London NW1. The presentation of the Builder of Entrepreneur Support Networks Award was made by Tim Campbell, the first winner of "The Apprentice", and Kanya King MBE, Founder of MOBO Organisation, on behalf of Start Your Business Magazine. 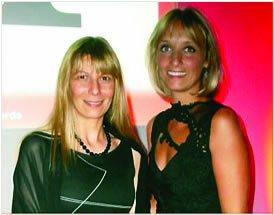 In London on 24 September 2009 Cook your Business was nominated at the prestigious Archant North London Business Awards held in association with HSBC Bank plc. 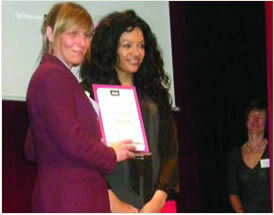 Held at Wembley Stadium Conference Centre the event was attended by over 300 guests with awards presented by Louisa Preston of the BBC.